The heat is continuing in the Finger Lakes on Labor Day, as temperatures are expected to climb through the 80s and into the 90s throughout the region. It doesn’t appear as though the heat will break until mid-week, but the National Weather Service has prompted a heat advisory for Monday. Maximum heat index values should be between 93 to 97 for many areas Monday afternoon and as high as 98 to 100 across the hottest spots, according to forecasters. 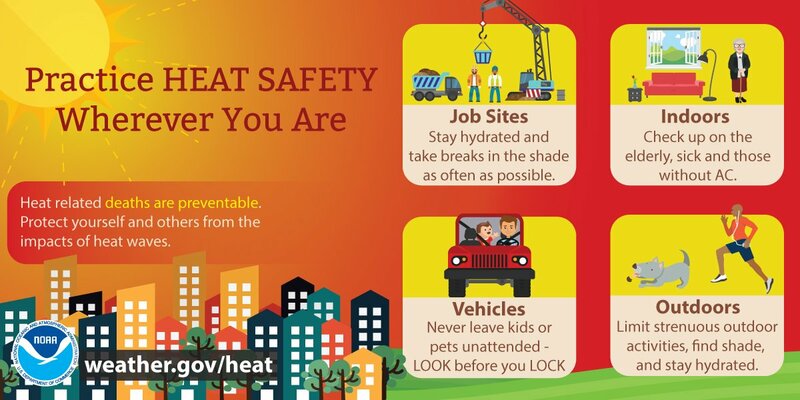 A heat advisory means that excessive heat will create the potential for heat illness such as heat exhaustion or heat stroke if you are not prepared. – Keep your pets hydrated and indoors as often as possible.